What exactly makes a trophy hunter able to slay his target? Given the recent killing of Cecil the lion in Zimbabwe - and global response - it's a relevant question. So think Rosie Child and Chris Darimont, two researchers who reviewed about 4,300 photographs online of trophy hunters to identify what factors helped them successfully kill a wild animal. Was it the camouflage gear? Their fitness level? Whether or not they had a guide? Their study, What Enables Size-Selective Trophy Hunting of Wildlife?, was published in the scientific journal PLOS ONE in August 2014. Both Child and Darimont are affiliated with University of Victoria and the Raincoast Conservation Foundation in Canada. Child spoke with The Dodo about the study's findings. 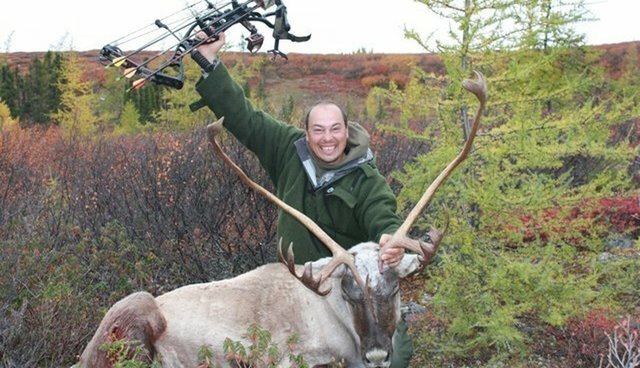 You analyzed 4,300 photos of adult male hunters in British Columbia and Alberta, Canada, and they posed with prey elk, mule deer and white-tailed deer. What were some of the themes in these photos? Part of the impression we noticed was this need to capture in photographs and display the trophies. It's remarkable that we could find [4,300] photos [of people] posing with dead animals. That in itself strikes me as interesting. Some of the photos are gruesome and hard to look at. Countless photos of humans displaying themselves as dominant over the natural world, posed in a way that asserts dominance: a hunter holding up the antlers. Or a hunter standing over the dead animal. Or the photo making the dead animal appear larger than in real life. What are the qualifications of a "fair fight" when it comes to animal predators hunting in the wild? In the natural world, animals use what they have naturally to do this, whether that be natural camouflage, or natural weapons like claws or fangs. That is what a fair fight looks like and that is how they meet the requirements to kill prey. How are humans different than wild predators? We are actually weak, awkward and minimally camouflaged. And we don't have natural weapons such as claws or fangs. 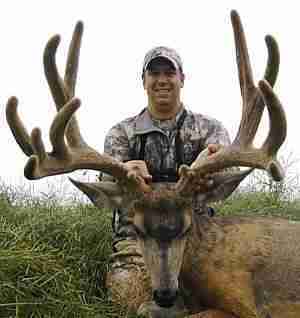 [Another difference is] human hunters select the trophy-sized largest individuals within populations. But that isn't what natural predators select. They select the weak and young individuals in populations. Also, in the natural world, you are limited by your speed and agility - limited by how fast and how far you can travel. Humans have been able to compensate for this with vehicles, roads and guns. The pursuit of the prey is the most dangerous and difficult part of the hunt. But hunters have obliterated that stage of the hunt. Guns make it so we don't have to get close to prey and roads mean we don't have to chase them. So, how does trophy hunting affect animal populations? We can see trends over time of a species getting smaller because we are taking the large-bodied animals out of a population. That means the size will shrink as well as ornament size, which in this case, is the antlers. So the body size and antler size over time has been getting smaller. That is one of the greatest influences. Another one would be if hunters take out the older and large animals, you are left with a younger population and a female population. 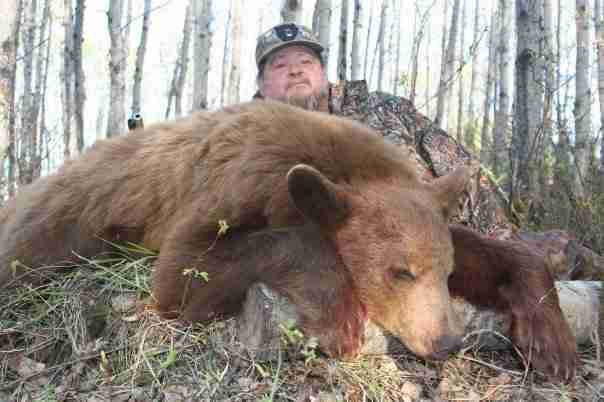 What are some myths about trophy hunting - and what makes a successful hunt? The biggest myth was camouflage clothing. So commercial forces would have hunters and non-hunters alike believe that camouflage is an important aspect of a successful hunt. A 2011 study showed 94 percent of North American hunters purchased at least one item of camouflage. And in our review, 80 percent of the hunters in the photos we surveyed did wear camouflage. But in fact, it had no influence on the ability to hunt a trophy-sized animal. Guides were very important. 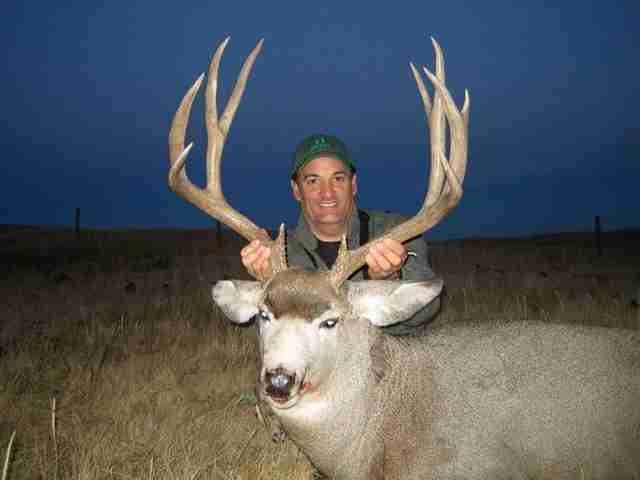 Hunters with a guide were 2.7 times more likely to get a trophy-sized animal than without a guide. Are there guides in nature? No. It is one more way we have tried to make up for the fact that humans are awkward and weak and don't have natural weapons. What do guides do that makes them so instrumental? We called them specialized knowledge holders. They offer local knowledge and assistance. You looked at other factors, such as physical fitness. If you were hunting without guns, guides and roads, physical fitness would be paramount. Especially for the pursuit phase of capturing prey. We've overcome this physical requirement and, in fact, we see that being physically fit didn't increase a hunter's success. In fact, there was a study where hunters were tracked with telemetry equipment. The study found that hunters traveled an average of less than 3.5 miles per day and less than a half a mile away from a road. So basically hunters don't need to be in amazing physical shape to trophy hunt? Absolutely. They don't need to be physically fit to be successful. Moreover we found that unguided, larger hunters might actually have greater odds of killing large prey. So, it's not only that being physically fit doesn't increase your odds, but the least physically fit hunters actually did marginally better. So instead of it being a hindrance, our study suggests there's more at play. We speculate that the people with lower educational attainment hunt more, and this same population has higher prevalences of obesity. So our result could be showing the relationship between low physical fitness and increased hunting experience. The 4,300 or so photos were all men. Did you choose only men, or could you only find men in these photos? It was what we found. I think it is safe to say that over 95 percent of the photos we looked at were men. We would have been interested in studying women as well, but their sample size was too small, so we dropped them.